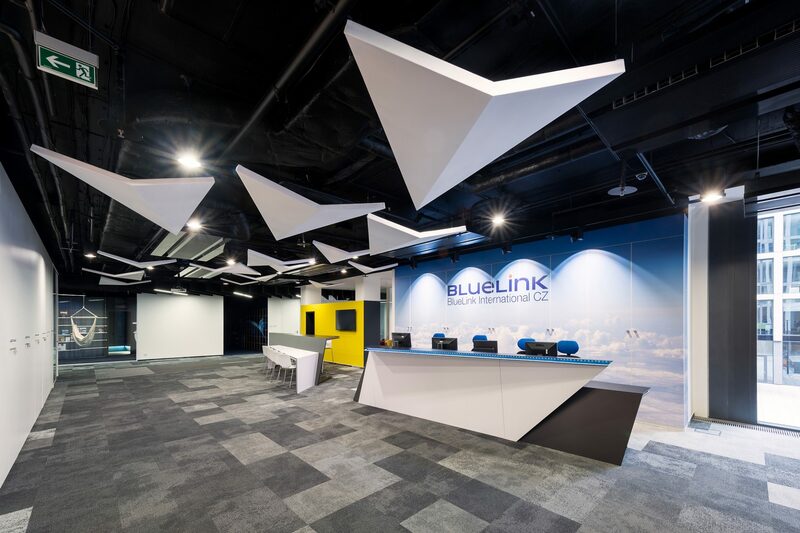 The international company BlueLink asked monom to design a new customer care center. 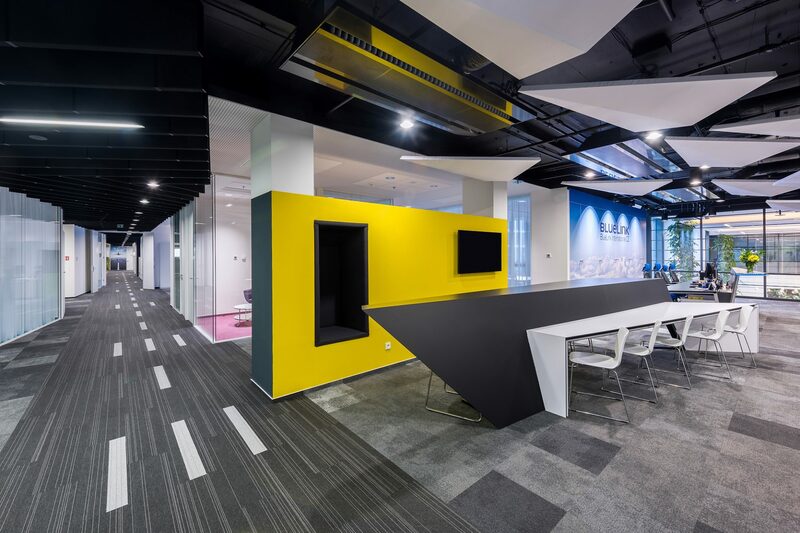 In an area of 2,500 m2 we create working space for 380 employees. 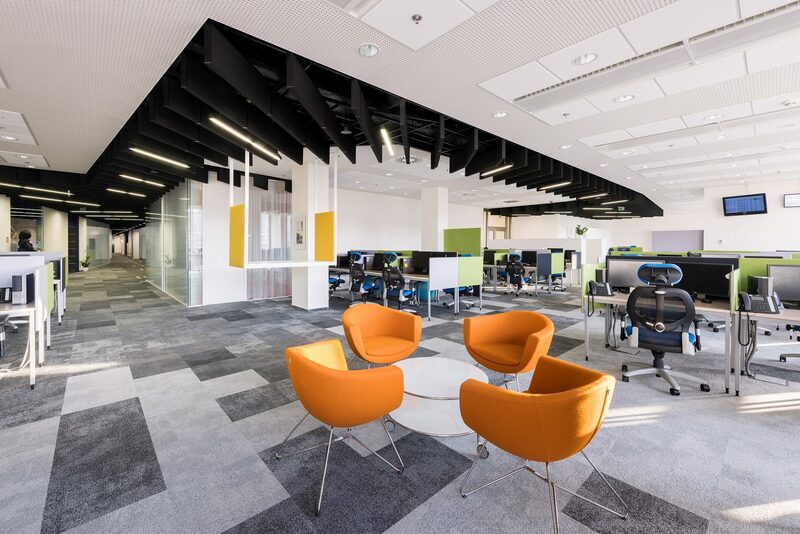 Emphasis is placed on a quality working environment, spatial diversity, and acoustics, without forgetting social links and places for fun and relaxation.